The wait is finally over - with two years of development, side by side with Bryan Iguchi and Travis Rice - the Union Splitboard Binding System is here at last! Carrying on our “less is more” product mentality, the Expedition System is ready to ride out of the box, cutting out the confusion of getting yourself into the splitboard game. Considering all the factors that go into a successful splitboard mission, isn’t the ride down the most important? The Expedition Series not only look like traditional Union bindings, they ride like traditional Union bindings. Compared to the rest, the Expedition system features a unique interface that corkscrews your board together and allowing it to perform like a normal board. 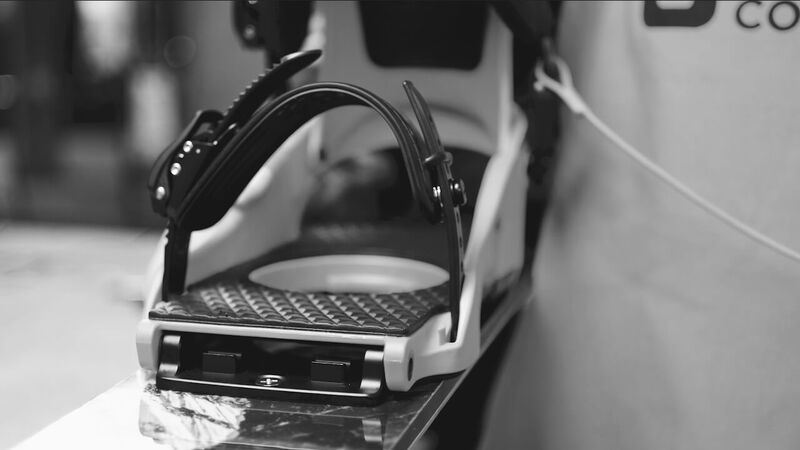 Less moving parts, simplistic design, and proven materials come together as the next generation of splitboard bindings. Union Riders Travis Rice and Bryan Iguchi collectively spend an incredible amount of time splitboarding around the backcountry each season. These two living legends are not only our go-to choice for advice on how to stay safe in variable conditions, but our main product testing and development ambassadors. The Union Products featured here not only meet our rigorous standards, but the standards of pros who rely on it most. Rotate the secure pin to unlock the binding then remove the pin from the middle of the binding baseplate to allow the binding to rotate. Rotate the entire binding assembly 90˚ to unlock the binding and allow the center portion of the splitboard to separate. Pull directly upwards to remove the binding assembly from the board. Now repeat the process with the other binding. Unlock the nose and tail clips then slide the two halves of the snowboard apart. Place the binding into the climbing cradle located in the middle of the board. Push the secure pin into the toe of the binding then rotate into the locked position. Repeat steps 3 through six with the other binding and you’re ready to climb. To switch back into riding mode, follow steps 1 - 6 in reverse order.